Interesting - I hadn't run across that one before. 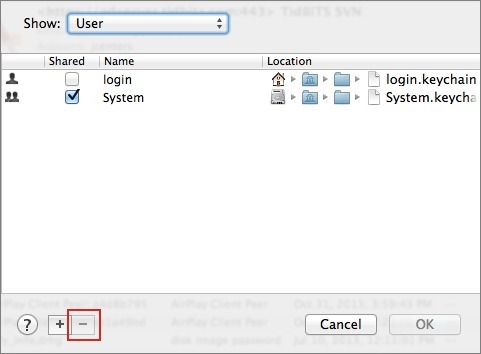 It looks like it creates a new user account as well, though, so it would be good mostly in a situation where you didn't care about the files in the account whose password has been lost. 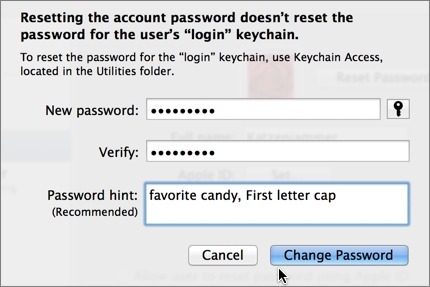 I've always used it for pre-Lion systems where the client had forgotten their login password. Create a new, temp admin account. 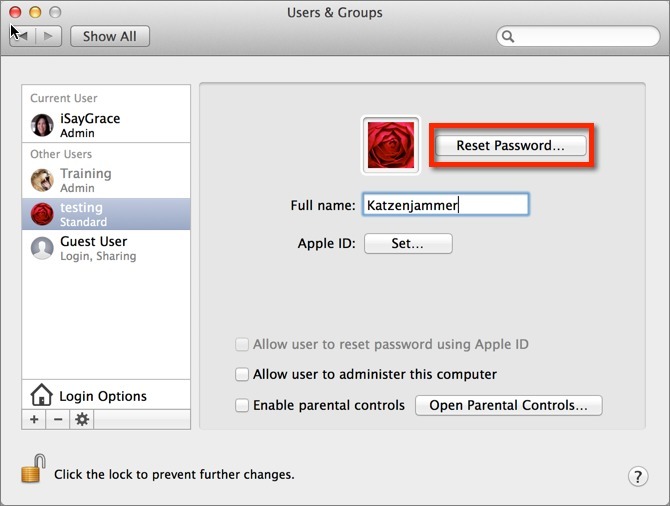 Use it to remove the other account's password. Remove the temp account. I've never used the Directory Service command line utility because it's fairly more complicated. I think that's a pretty cool workaround myself! Thanks Carlos. This workaround is great. Just what I needed. 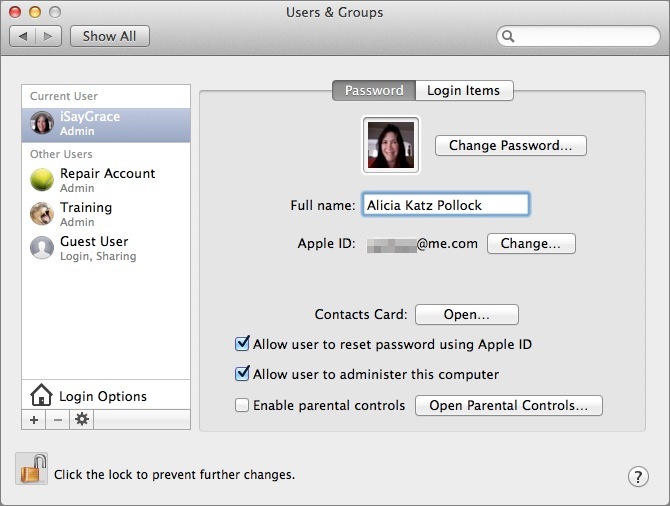 Trying to remove a user password from a friends computer for her sons after she died. Last tried Carlos idea got Specified device does not match mounted device. Looks like you're retyping commands and introducing typos (is instead of ls). I recommend you use copy and paste instead.